Festing was born in 1941 to Field Marshal Sir Francis Festing and Mary Cecilia Riddell. The third son of four boys, brought up in Northumberland, Festing was educated at Ampleforth College and RMA Sandhurst. He was commissioned into The Rifle Brigade where he served until 1969. In 1968 he Married Virginia Fyffe, and has one daughter - Charlotte - and two grandchildren. Festing worked at Sotheby's in 1969 and was head of the British Pictures Department from 1977-1981, where he became Sotheby's chief expert for British Pictures, with and extensive knowledge of portrait painting over the last 400 years. 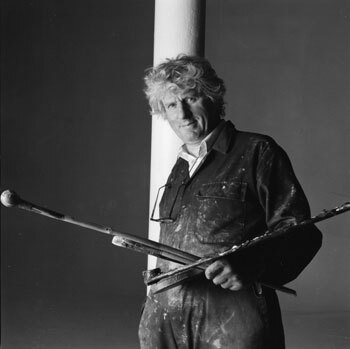 He painted many portraits whilst in the army and at Sotheby's, and took up fulltime portrait painting in 1981. 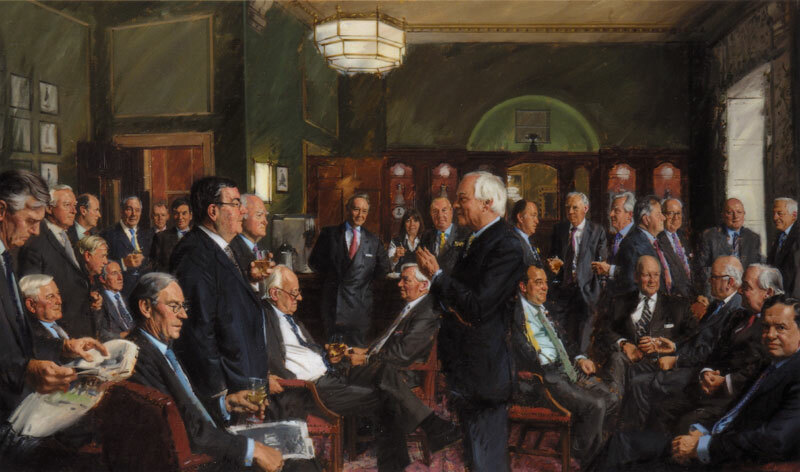 Festing became a member of the Royal Society of Portrait Painters (RP) in 1989 and was President from 2002-2008. He was awarded a MBE in 2007 for services to the arts, and holds an Honorary Degree from Northumbria University (2010). Notable commissions include Her Majesty The Queen and other members of the Royal Family on a number of occasions; official portraits of the House of Commons and the House of Lords in session; official portraits of Speakers Boothroyd and Martin; four group portraits of all the famous English Cricket players in the last 40 years for Lords; six group portraits of the staff at Holkham Hall in Norfolk. Festing has painted some 750 portraits in the last 30 years. His portraits can be found in the Royal Collections, the National Portrait Gallery, the National Gallery of Ireland, The Palace of Westminster and many of the major private and public collections in Britain. Festing has worked a lot in America, Germany, Sweden, Denmark, France and Ireland. He exhibited annually at the Royal Society of Portrait Painters. Festing also paints landscapes, still lives and watercolours. He has studios in central London and in Northumberland.